In 2011, Ms. Castillo founded the Law Offices of Isabel Castillo, P.A., focusing on immigration and personal injury law. Ms. Castillo’s immigration practice focuses on helping corporate clients seeking outstanding foreign employees as well as helping foreign investors get the appropriate type of visa to allow them to live and work in the United States. Ms. Castillo also assists clients seeking immigrant visas for themselves and for qualifying family members. She also assists individuals with their citizenship and naturalization. Ms. Castillo’s personal injury and wrongful death practice focuses on auto accidents, premises liability, negligent security, maritime accidents, and more. Adelina Ruiz Baez is a licensed attorney experienced in the areas of business law and corporate law. 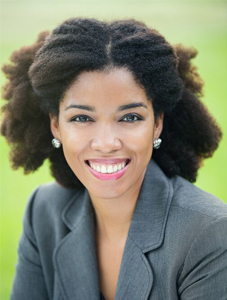 She received her Bachelor of Arts from Herbert H. Lehman College, City University of New York, and earned her law degree from Indiana University Maurer School of Law. 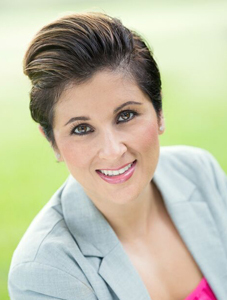 Ms. Ruiz is dedicated to assisting entrepreneurs in structuring their business organizations, selling and purchasing businesses, creating an effective business plan, drafting a variety of commercial and employment contracts, and handling various commercial litigation matters. Located in Boca Raton, Florida, The Law Offices of Isabel Castillo provides individual and corporate immigration law counsel in Palm Beach County, Boca Raton, Delray Beach, Boynton Beach, Lake Worth, Palm Beach, Broward County, Coconut Creek, Coral Springs, Davie, Deerfield Beach, Fort Lauderdale, Hollywood, Margate, Miramar, Oakland Park, Pembroke Pines, Plantation, Pompano Beach, Tamarac, Weston, Miami-Dade County, Aventura, Coral Gables, Doral, and Miami. She also provides services to international clients from around the world including Mexico, Central America, Guatemala, El Salvador, Honduras, Panama, the Caribbean, Trinidad and Tobago, Bahamas, Haiti, Jamaica, South America, Venezuela, Colombia, Ecuador, Peru, Brazil, Paraguay, Europe, Spain, England, Ireland, France, Asia, China, Philippines, and Vietnam.